John Grochau was initially bitten by the 'wine bug' while pursuing a professional bicycle-racing career in France. He was limited by the shoestring budget of a racer and a rigorous training regimen, but enjoyed the intrinsic role wine played in most meals. He began to seek out new wines during his down time, particularly while living in the Loire Valley, where he rode past acres of vineyards while training or during races. John has since been fortunate enough to learn the trade from some of the Willamette Valley's finest winemakers. He began his career working his way from the bottom up at Erath Winery. He then spent four years as Doug Tunnel's assistant at Brick House Wines. Finally, in 2002, he founded his own winery, Grochau Cellars, with his wife Kerri. John Grochau explains that his goal is always to "make a wine that speaks of where the grapes are grown and the weather of the vintage...we do less in an effort to show more." The name "Besadien" is a play on the word "beso", which means "kiss" in Spanish. When the artwork featured on the label, "Authenticity" by Christo Dagorov, was found, it was a clear fit for both the name 'Besadien' and the wine. 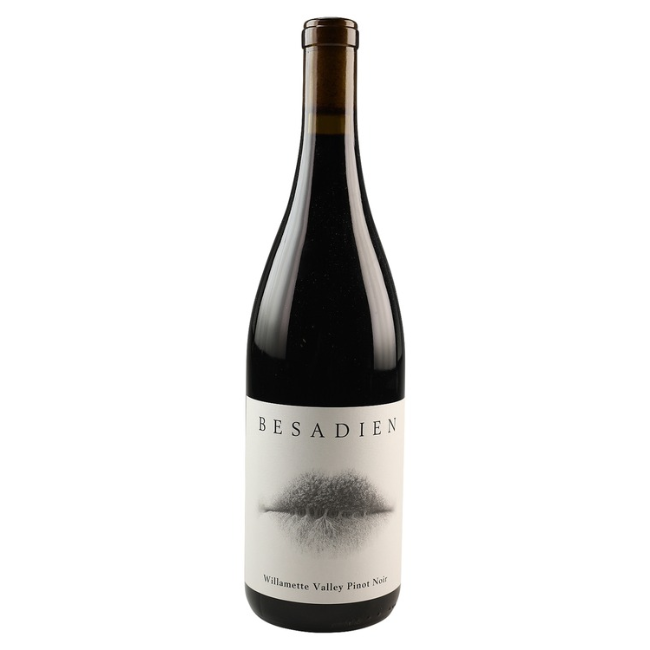 Besadien Pinot Noir & Cabernet Sauvignon are available in all markets.